It is the middle of the 21st century and Tokyo is expanding more and more, filling Tokyo Bay with landfill to make room for the bursting population. But suddenly Tokyo suffers one of its greatest earthquakes, and the landfill liquefies, creating untold damage in the newly-made urban area. The members of Self-Defense Force Rescue Squad Four are sent to help. But what they dig up is a plot of murder and destruction, one that wipes out nearly the entire squad and leaves its two surviving members, the fierce Rei and her cool, handsome partner Uozumi, in a fight for their lives. There is only one place where they can find the work that keeps them alive, and the support so they can start uncovering the mystery that killed their squad: that's in the south-Shinjuku bar called Chicago. As the earthquake levels Japan's largest city and capital and leaves countless dead, rescue workers, Rei and Uozumi, search for survivors amidst the rubble of Bay District D only to find a mysterious string of dead bodies... bodies with bullet holes. Without warning, the pair is under fire from the air as a hail of gunfire rains down. Are these the killers, and if so, what is their purpose? Barely escaping with their lives, Rei and Uozumi discover that their squad is listed only as "collateral damage" and their records wiped clean. 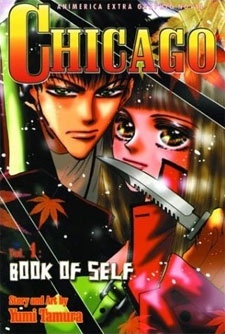 Chicago was published in English by VIZ Media from November 5, 2002 to April 30, 2003. As a fan of Tamura Yumi, i checked it out in hopes of another epic story like 7Seeds or Basara. As this work seems to be unfinished or abandoned, i write this for the potential it had. Story: the setting is a slightly fururistic tokyo, and our main heroes belong to a special forces team to help save civillians and take on special missions. Its quite an unusual setting for josei, but all the better for it, i think the category needs so much more diverse content than just romance . The story stars with action and is really promising, it would have been great so see more about the 3 main characters and their respective backgrounds. Art: I have to say the style is typical for the author , and i came to love it, even though it is more shoujo-feathery and somewhat fuzzy. Usually i like more clean lines and less saucer-eyes. but it really does not deter from the story, rather i find it is interesting to see a story which has the action, suspense, romance, drama, mystery some seinen or shounen have drawn in this style. its not for everyone though, so i guess for some people this subtracts points from the overall score. Characters: as is typical for Tamura, the main characters are laid out very balanced and come with qualities and faults alike. A think i can never emphasize enough! As only a small amount of chapters have been released, i am sure had it been continued the characters would be really well fleshed out and relatable as seen in previous works by her. I really like that she always has a very strong female lead. this is so important as in the classic shojo/josei there are not many of them. Enjoyment: it was really great to read and i was bummed out that there was not more. the basis for the story is really good and i would have love to see where it wend from there. Overall: I would recommend to read not only for Tamura fans but also for fans of the Josei genre. Its rare to see action, suspense, mystery, drama, romance, all packed into one. i really really wish there were more great stories with a broader set of elements than just plain romance in josei. Even though the art is not for everyone, the story show a ton of potential and, one can only hope it gets redone or continued some day.